The Junior St Vincent de Paul Conference works actively in the Secondary Department. 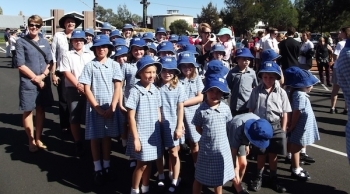 The aim of the Conference is to enrich the lives of the needy in the Inverell community. Meetings are held on a regular basis. The students are involved in fund raising, visiting the sick and elderly in the local community and performing community service for either the parish or the school. 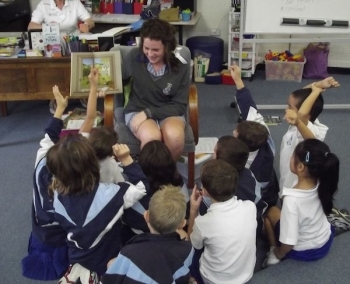 Each year Holy Trinity supports Project Compassion. This is Caritas Australia’s annual fundraising and awareness raising appeal, bringing thousands of Australians in solidarity with the world's poor to help end poverty, promote justice and uphold dignity. Compelled by the message, life and love of Jesus Christ, Catholic Mission forms Australians for mission and raise funds for mission - in Australia and around the world. This enables heroic missionaries to reach out to help children and communities in need, and provide vital training for seminarians and other young church leaders. 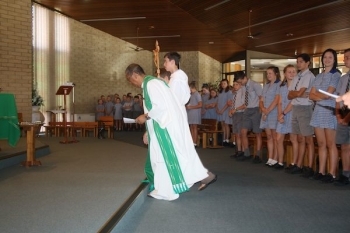 The school's liturgical life is an integral part of its identity as a Catholic school. Student Masses take place approximately twice a term. 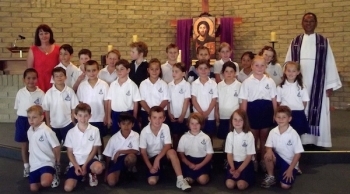 The celebrations are the responsibility of a designated class/year group who are guided with the preparation and are actively involved with different aspects of the liturgy. 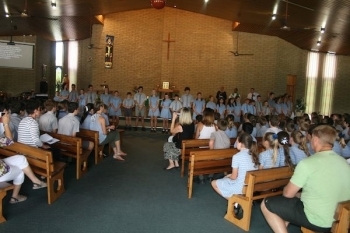 In addition, the school community acknowledges other significant occasions with special prayer celebrations. These include Harmony Day, ANZAC Day, Sorry Day, NAIDOC Week and Remembrance Day. Seasons for Growth is a successful education program which explores the effects of change, loss and grief. This change maybe caused by: loss of a loved one, separation, relocation or change in relationships. The program recognises that change often hurts, can be confusing, frustrating or threatening. It also recognises that sometimes we need support in understanding and coping with the effects of change and loss. Holy Trinity offers the Seasons for Growth Program for students who are suffering from a change. ‘Seasons for Growth’ provides a safe, creative way to explore these issues. The program provides participants with the knowledge, skills and attitudes to understand and manage their individual experiences. The staff includes trained Seasons Companions who are able to implement the program when child/children are identified as being in need. 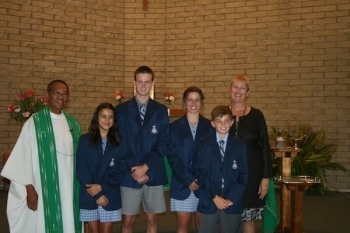 Christian Living Days are conducted in the Secondary Department for Years 7 - 9. The days focus on recognising the worth of the individual and developing skills to create harmonious relationships between all class members. These are conducted by Lasillian Youth Ministry. 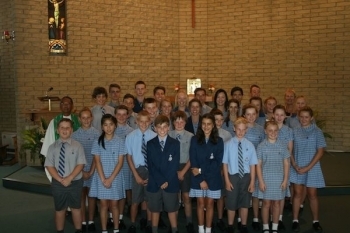 A Christian Living Camp is conducted over three days at Copeton Dam for Year 10 students. The camp aims to give Year 10 students an opportunity to spend quality time together before leaving Holy Trinity. The camp focuses on celebrating the past and developing skills to assist in the process of accepting change as the students leave Holy Trinity.